Agave weberi, or Weber agave, was originally discovered in Southern Texas and Mexico. This tropical looking agave has attractive blue green leaves with a single spine at the terminal. This Agave is perfect planted as an evergreen accent in Mediterranean, xeriscape, contemporary and dry landscapes. Weber’s agave has a more upright growth habit than other agaves and its linear leaves are more narrow. Plants have a moderate growth rate and mature at about 6-feet tall and wide. This low maintenance agave will need only occasional trimming of lower damaged leaves. Removing the lower leaves can create a trunk appearance, which can also be interesting in the landscape. Once mature, it produces a branched flower spike reaching 15-20 feet tall topped with yellow blooms. Like other agaves, it dies once it flowers, but will leave plenty of pups behind in its place. Make sure to amend soil when planting to ensure the bed space is well-draining. Provide some supplemental watering during its first year in the ground and during extreme drought. Otherwise, established plants have minimal water needs. 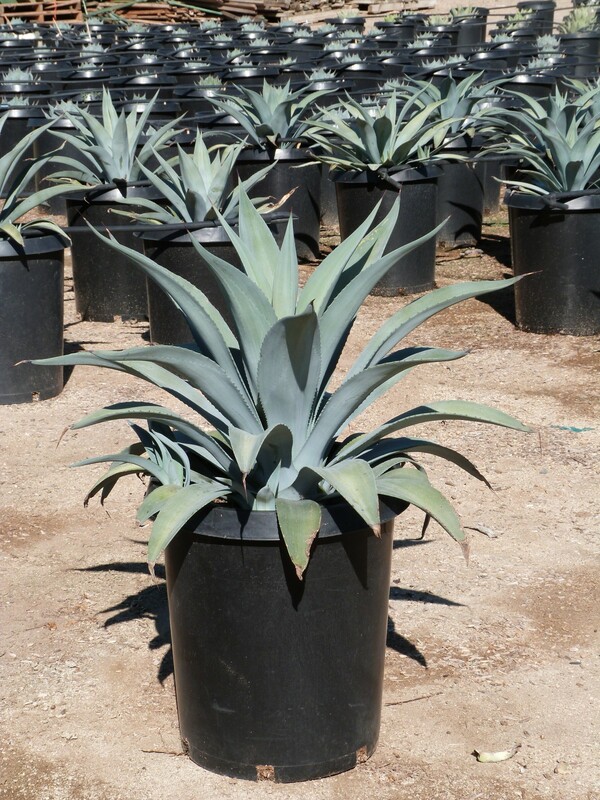 Weber’s agave is cold hardy to the mid-teens ns and should be containerized in colder regions. Plant this agave in full sun for best growth. Deep shade will create spindly weak growth.